Every online marketer needs to grow their subscribers list, but it isn’t always an easy task. Neuromarketing is a unique field that combines marketing with brain science to influence consumer behavior. When you understand and utilize these principles, you can persuade more visitors to subscribe to your email list. In this post, we’ll share 8 neuromarketing ideas to increase your subscribers list. One of the best neuromarketing ideas for getting people to subscribe is to create urgency with a deadline. Urgency compels people to act before it’s too late. This technique is often used to drive more sales, but you can use it to drive more email subscriptions too. For example, perhaps you’re offering something for free in exchange for a subscription, but the offer is only for a limited period of time. After a specific date, you’ll start charging for the item. This way, when people know that the deal will end soon, it gets them to subscribe because of the fear of missing out. You can accomplish this by scheduling your lead generating campaigns to start and end on specific dates. Offering a live webinar is another great way to create urgency to get on your email list because it happens on a specific date: if you don’t get on the list by that date, you’ll miss out on the free training. In 1975, researchers conducted a study in which cookies were placed in two identical glass jars and presented to two sets of participants respectively. While the first jar had 10 cookies, the second jar only had two. Despite the fact that the cookies in each jar were identical, participants rated the cookies at a higher value for the second jar (the scarce supply). Participants who were told that the supply was low due to a high demand for the cookies rated the cookies even higher. This is the scarcity principle in action: scarcity causes people to view something as more valuable, especially when they believe that the scarcity is due to high demand. Using this principle is one of the best neuromarketing ideas for increasing your subscribers list. For example, you could give away a free digital or physical product in exchange for subscriptions, but only to the first 100 subscribers. Or, you could show how limited your supply is by displaying how many free products you have left. On your webinar registration page, you could display how many seats are left. The “herd effect”, or social proof, is another effective neuromarketing technique for getting more email leads. People tend to follow the behaviors and actions of their peers. So if your target audience knows that many people like them are reading your content or using your products, there’s a much greater chance of converting them. For example, if one digital marketer knows that you have a huge following of other digital marketers, they’ll want to find out more about your blog posts and what you have to offer. Social Media Examiner uses the herd effect in their exit popup by letting you know how many of your peers have already subscribed. You can also develop your content in such a way that people realize they’re being measured. This will encourage them to take it up a notch and get to the next level in order to keep up with their peers. People who have received a gift or a free service tend to feel compelled to give something in return. Not reciprocating makes people feel uncomfortable. So offering a small gift or free trial before you ask for an email can be a great way to encourage more visitors to reciprocate by subscribing to your list. The common way that smart marketers use the principle of reciprocation is by offering valuable content in the form of blog posts before they every ask for an email address. QuickSprout gives hugely valuable content in the form of “Advanced Guides”, which are essentially eBooks that you don’t need to subscribe for. Making your email newsletter (or other free offer) exclusive to only a select few people is a neuromarketing idea that makes your email list more desirable. On the surface, this sounds similar to the scarcity principle. However, exclusivity works like this: people tend to value things more when they are difficult to get. Things that are easy to obtain, on the other hand, are valued less. This is a normal human mental response that you can use to generate more leads. 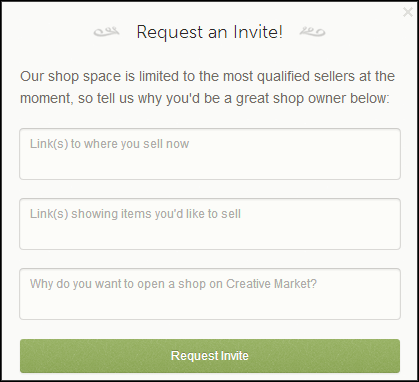 Creative Market, for example, requires sellers to request an invitation before they can join. Certain colors can impact how we feel and how we perceive certain things. A study found that 90 seconds is all it takes for people to make up their minds about people and products or service, and colors are responsible for 62-90% of the assessment. Therefore, it is crucial that you choose colors that will get people to trust your brand so that they feel comfortable subscribing. The catch is that whichever colors work for your specific brand may not be the same as what works for another. 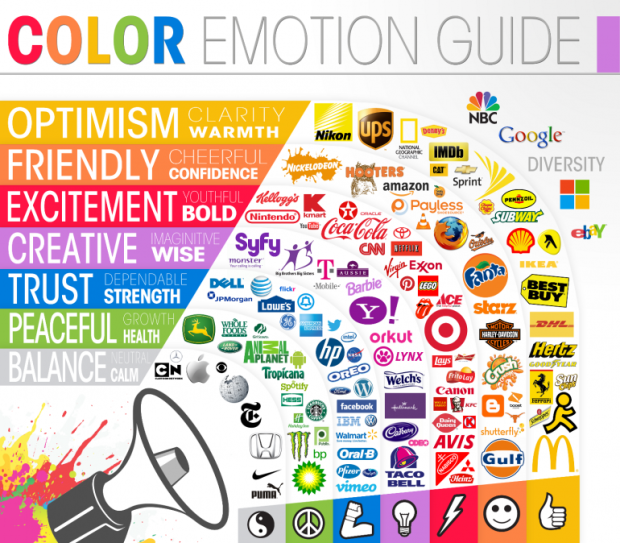 Understanding the psychology of color is important, but you also need to consider other factors like your industry, brand values, and message before you choose any specific color. A journal published by the American Marketing Association found that positive content performed better than negative content. That’s because positive emotion leads to positive action. In this case, the positive action that you want is more users signing up for your email list. Therefore, your content needs to evoke a high level of positive emotions such as inspiration, awe, or fascination. When you deliver your message in an optimistic manner that arouses these pleasant emotions in your readers, you will get them in the “mood” to subscribe to your list. On the flip side, if your readers are experiencing negative emotions while looking at your content, there’s little chance they’re going to respond positively by subscribing. So even if you must talk about something negative in a blog post, make sure you conclude on a positive note. Make the most of positive words and include personal stories or case studies that evoke the desired positive emotions in your readers. 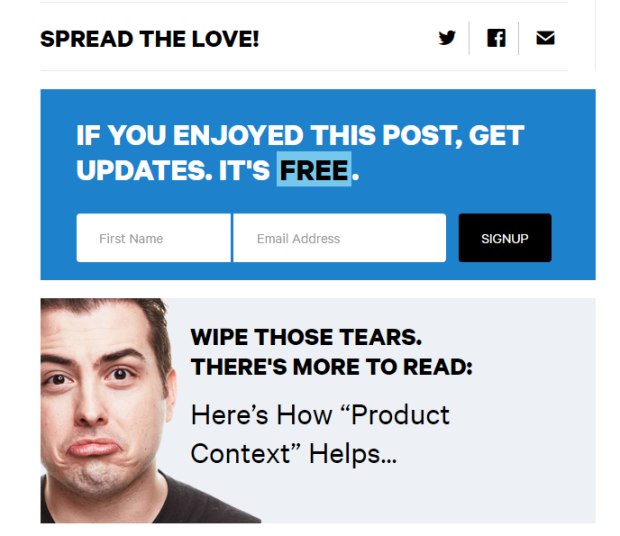 Social Triggers uses these neuromarketing ideas with positive words like “love” and “enjoyed.” These words can help in triggering a positive emotion in their readers and getting them to sign up for updates or share the content. Additionally, the use of a humorous photo (Derek Halpern making a funny sad face) evokes the emotion of amusement: another positive emotion. Gaining customer trust is one of the most fundamental neuromarketing ideas that you can use to grow your email list. Sometimes people don’t provide you with their email addresses because they’re afraid you might spam them with useless messages. They may be simply anxious about giving their email address to a company they’ve never heard of before. Reduce their anxiety by building credibility. Right next to your opt-in form, you could display the brands you’ve worked with before, or list customer reviews and testimonials. Even for startups with no customer testimonials yet, there are plenty of ways to earn the confidence of your audience. You could include your physical address with contact information, add security seals, and even a live chat box can help. Showing your expertise in what you do is important for building credibility too. 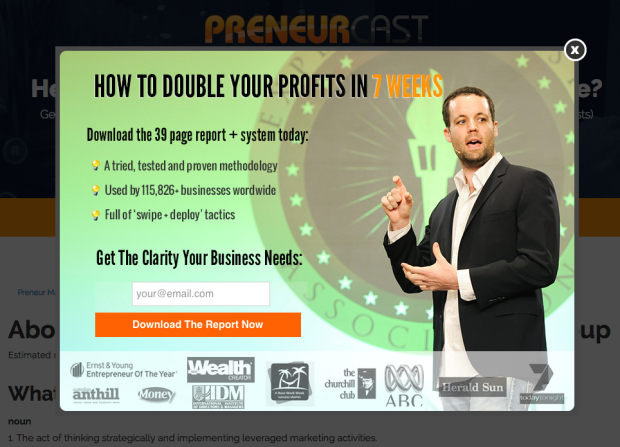 PreneurCast uses “as featured in” logos on their opt-in form to establish their expertise. Neuromarketing ideas can be effective for building your subscribers list and generating conversions by triggering certain emotional responses. Personalize the neuromarketing ideas I mentioned above based on your brand requirements and your audience. Whatever you do, make sure your readers know what’s in it for them so they’ll feel more compelled to submit their email address. Want to share some more neuromarketing ideas? Join the discussion in the comments section below! An awesome post Shane! 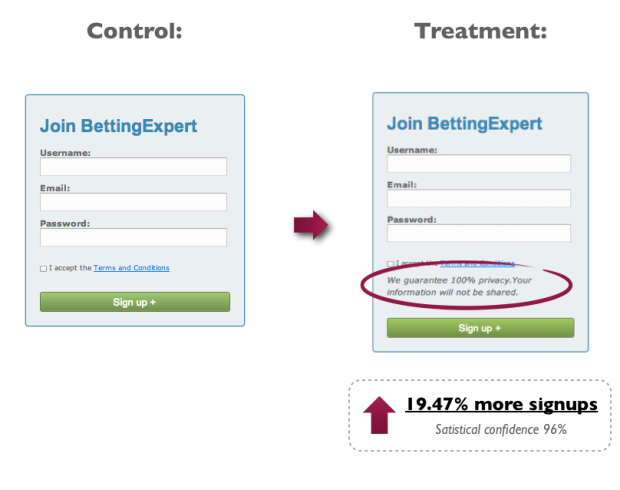 I really like the scarcity principal and creating a sense of urgency to help compel people to subscribe. Offering something for free for a limited time, or to the first 100 as you described, is a great way to build your email list. Will definitely keep these tactics in mind, and thanks so much! Hey, Daniel! I’m glad you enjoyed my article man! Let me know how things go when you implement those tactics. I always love to hear what is working and not working for others.